Air conditioning is a needed commodity in a world where the summer sun can cause temperatures to spike into the 100’s and cause the humidity to make dry heat seem like a pleasure. An air conditioner is designed to regulate both the temperature in a room and the humidity taking care of summer;s two worst issues. If only the outside could be as comfortable, especially in the desert region or valleys. 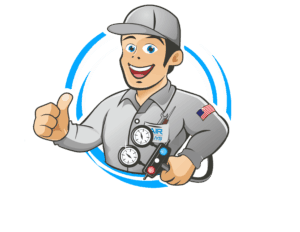 One type of air conditioner, the split system, works by providing air from an indoor cooling unit either in the attic, closet or garage and air vents in the floor or ceiling. It is called a split air conditioner because it has an inside and an outside part. Most central heating units are of this type. The reason for the split is that, like other models (especially window units) it keeps the hot outside and the cool inside. The compressor and the condensing coils are kept on the outside of the house and the evaporator coils and blower are on the inside of the house. This post will explain exactly how this type of unit works and how it can work well. There will be a discussion of how the unit can be kept working effectively, how it differs from other types of air conditioners and a list of parts and their uses will be given. Gas, a refrigerant, is fed into the compressor where it is pressurized. This also causes the heat in the gas to rise. The pressurized gas then goes through a series of copper tubes that are meant to condense it into a liquid. The liquid is still pressurized and travels through the condenser tubes until they come to an expansion joint. The pressurized liquid passes through this point in the process and becomes a gas again as the pressure is rapidly reduced. During the reduction of pressure the gas also releases a great deal of heat and becomes much cooler (thus, refrigerant). The gas then passes back to the compressor to repeat that process. Air from the room is drawn into the unit and passes over the evaporator coils. This action cools the air significantly which is then forced back into the room via the blower. The air continues to circulate through the air conditioner until a set temperature (set by the thermostat) is reached. At this point the apparatus shuts off automatically. The operation of a split air conditioner, as is shown through the points above, is very much like that of any other air conditioner. The difference is that one portion of the unit is completely contained on the outside of the home, while another portion is on the inside. The compressor, vent fan and condenser coils are on the outside of the building in a self-contained unit, and the evaporator coils and blower are on the inside. The two are connected via pipes or other tubing. Central air conditioners are a type of split air conditioner, but the unit most people see as a split unit has a smaller compressor/condenser coil box on the outside and individual ducts supplying air to the inside. 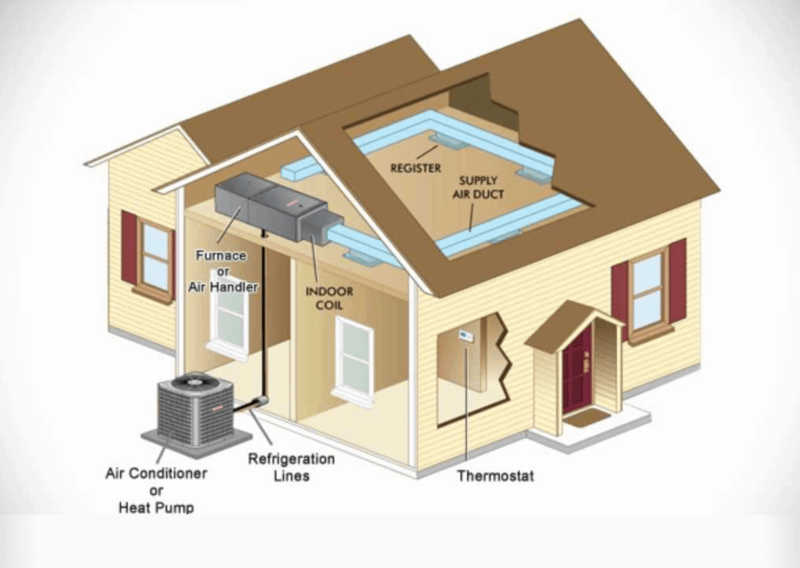 A split-style air conditioner is ideal when homes have tile or stone roofs and space is limited on the exterior roof. Efficiency is another concern. People are worried about electrical usage and these systems come in a range of energy efficiency ratings from SEER 14 to SEER 20. How Does this Type of Unit Differ? 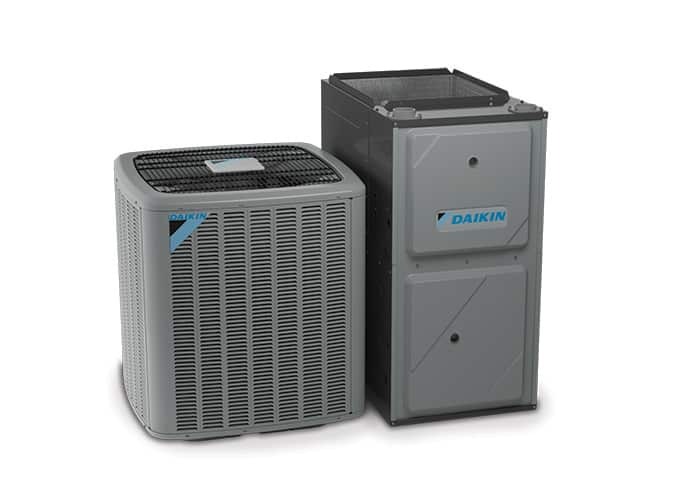 As mentioned before, a central air conditioner is technically a split system in a way, so there is no difference between these two, except split systems are dividing into 3 separate components. But the main difference between a split unit and either a portable or a window air conditioner is size and square footage that can be effectively cooled. A split air conditioner will generally have a larger compressor and a greater overall capacity than either a portable or window unit. Unlike the package units which holds all components in one box. What Parts Does it Contain? The parts list for the split air conditioner is much the same as other units. It has a compressor, condenser coil, expansion joint and blower fan. The evaporator coils, filter, blower and individual unit boxes are on the inside. Likely, there is also a thermostat of some type to control the entire unit, so you can enjoy even more comfort with your split ac.